Parresia Blog | We are Happy to Annouce The Remains of the Last Emperor is Back on Shelf and now published by Parresia Publishers Ltd.
We are Happy to Annouce The Remains of the Last Emperor is Back on Shelf and now published by Parresia Publishers Ltd.
23 Nov We are Happy to Annouce The Remains of the Last Emperor is Back on Shelf and now published by Parresia Publishers Ltd. 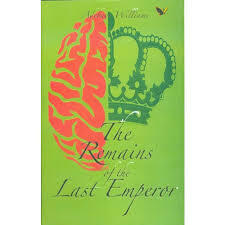 In response to increasing demands from the public, Prof Adebayo Williams’ book The Remains of the Last Emperor, which was first published 24 years ago, has been reprinted. The 336-page book published by Parresia Publishers Limited, is available at affordable price at the following outlets; Cassava Bookstore, Lagos, Booksellers, Ibadan, Unilag Bookshop, Patabah at Shoprite on Adeniran Ogunsanya Drive, Surulere, Lagos, Ake Festival, 3C Oba Dosumu Street, Off Isaac John Street, GRA, Ikeja, Lagos, PageBook, mummy B Road, Off Stadium Road, Port Harcourt and Rovinheights on Adeniran Ogunsanya Drive, Surulere, Lagos. William who also wrote two other books: The year of the locusts (Longman 1989) and Bulletin form the land of the living ghost (Exlibrix 2002), is a globally acclaimed African intellectual, award-winning journalist, writer, critic, translator, anthropological consultant and political theorist.